Blu-ray Converter Ultimate Free Download Latest Version setup for Windows. It is full offline installer standalone version of Blu-ray Converter 32 / 64 bit. VSO Blu-ray Converter Ultimate is a tool that can be used to covert Blu-ray videos to other formats like AVI and MKV etc in just few clicks. Blu-ray videos though have very crispy and crystal clear quality but unfortunately not all the players support them so if you don’t have an appropriate player you may not enjoy watching the video clips. Here arise the need for the Blu-ray video converter that can convert Blu-ray videos to other formats and there is no better choice than VSO Blu-ray Converter Ultimate. It is dedicated to blu-Ray conversion. 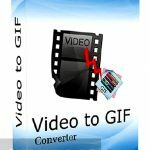 But if you are looking for huge formats then Download Freemake Video converter or any video converter. With VSO Blu-ray Converter Ultimate you can convert your videos to almost all formats. The tool is very easy to use even those who are not good at computers can use it efficiently. Ask a 5 years old kid or your grandmother to convert the videos and I am sure they will be up to the task. The tool is capable of converting Blu-ray videos into the formats that supports portable devices like XBOX, iPhone and iPad etc. Large number of formats are also supported in All in One converter. The conversion process is not only simple its fast too. 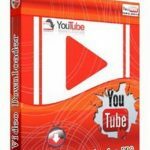 You can convert the videos within no time. Media Converter ultimate is also a great alternative to this software. The tool not only convert your Blu-ray videos but can also be used efficiently for editing the videos. With VSO Blu-ray Converter Ultimate you can crop your video to any ratio. Plus you can cut the video to any of your desired length. The colors in the videos can also be altered according to your choice. You can also add text, subtitles into your videos. Some people also prefer ImToo Video converter for its ease of use. The interface of VSO Blu-ray Converter Ultimate is loaded with lots of options for editing your video. The interface is also customizable. You can also burn the videos on the CDs and DVDs as the burning engine is included. On a conclusive note we can say that VSO Blu-ray Converter Ultimate is a great tool that can not only be used for the conversion purposes but also editing the Blu-ray videos. Below are some noticeable features which you’ll experience after Blu-ray Converter Ultimate free download. Can convert Blu-ray videos to almost all formats. Can add subtitles into the videos. Can cut the videos to any length. Can burn the videos on CDs and DVDs. Before you start VSO Blu-ray Converter Ultimate free download, make sure your PC meets minimum system requirements. Click on below button to start Blu-ray Converter Ultimate Free Download. This is complete offline installer and standalone setup for VSO Blu-ray Converter Ultimate. This would be compatible with both 32 bit and 64 bit windows.